Host Steve Rosenblum (Big Hollywood contributor & 2010 GOP FL State House candidate) discusses politics & current events, and interview conservative candidates, authors, pundits and office-holders. Listeners have the opportunity to call-in to ask questions or make comments. 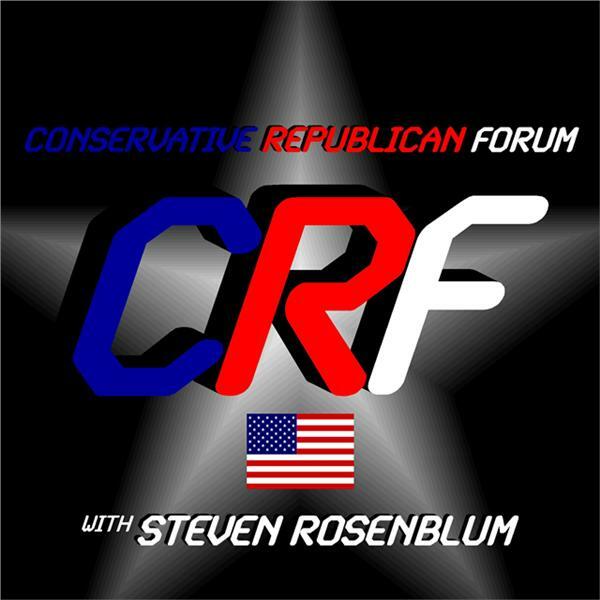 Steven Rosenblum analyzes the news, politics and current events of the day from a conservative Republican point of view on CRF Radio. Tune in every Saturday at 6 p.m. Eastern! This week your host has an interview rescheduled from last week with former Congressman, Lt. Colonel Allen West (United States Army, retired) returns. On the agenda for discussion: The election of MarxistBill DeBlasio (D) as New York City's newest Mayor. New York Governor Andrew Cuomo's (D) recent comments that "extremist conservatives... have no place in the State of New York". The dangers facing American athletes participating in the Olympic Games in Sochi, Russia and President Obama positioning 2 US Navy vessels in the region in case Americans need rescue (something he failed to do for those he left to die in Benghazi on 9/11/12. And much more! Also, in the back half of the show is an interview with "author, columnist, superhero wannabe, veggie addict", Fox News contributor and frequent Red Eye "Leg Chair" occupant Jedediah Bila. Steven Rosenblum analyzes the news, politics and current events of the day from a conservative Republican point of view on CRF Radio. Tune in every Saturday at 6 p.m. Eastern!